You have finally brought fruition to your business idea and decided to start your business. Most people at this juncture will be daunted with a maze of to-dos and must-dos; from being inundated with questions such as, “Which type of structure shall my business take?” to “How do I find out if my business requires any regulatory approval?”. Fret not, Singapore is one of the easiest jurisdictions to start a business. The processes for various applications are on the internet and all regulatory agencies offer electronic services. Just take a step at a time but take them logically and chronologically. For instance, apply for a license as an employment agency before you advertise your services as one; or, take some precautions in regard to intellectual property rights before you put your business logo or tagline into social media. First things first, please conduct some preliminary due diligence such as finding out if your proposed business requires any regulatory approval such as a license before you embark on incorporating your business entity. Next, register the name. Generally, a person who carries on a business in Singapore is obligated to have the name of the business registered (section 5 Business Registration Act). Visit the Accounting and Regulatory Authority (ACRA) website and apply for a business name at their online services page. At this point, you need to be aware that even if ACRA grants an approval for your business name; it does not mean your business name is not similar or somewhat similar to another entity doing the same business. So, choose wisely to avoid any legal dispute or legal tussles on intellectual property rights later on. This can be costly to your business, especially when it picks up its momentum later. Next, assuming the name for which you applied is now approved by ACRA, consider the structure of your business entity. In ACRA’s website, you have a choice to register your business as a sole-proprietorship, a partnership or a limited liability company. Let’s assume you decide to start your business under the umbrella of a limited liability company; a common choice of vehicle for many businesses. A limited liability company in Singapore can now be run by a sole director and a sole shareholder; both of whom can be the same person. It is somewhat similar to a sole-proprietorship without the shackles of personal liability. Nonetheless, please remember to appoint a professional corporate secretary who can help you with the compliance aspect of running a company e.g. filing the Annual Return in good time so that your company is rated compliant. You need to appoint one within six months from the incorporation-date. You’ve got your company incorporated and you’ve opened your bank account. Most banks in Singapore have online application forms and they usually contact you the next day to complete the account-opening process. However, if your business requires a license or a regulatory approval, your business may be required to inform ACRA before the latter completes the incorporation process. Check the websites of LicenceOne and the Singapore Police Force to apply or enquire. If you are unsure, you should consult a lawyer who will advise you based on the relevant statute and legislation regulating that business. At this point, you may be at crossroads wondering if you should register your intellectual property (IP). If you have spent time and money in coming up with a mark or logo or even a tagline; if you perceive that branding is crucial to distinguish your business from its competitors; if you are certain the branding will add value to your business and the company in the eyes of investors or if you feel that your idea is a novel one; then you should want to protect your IP. Your IP can be protected in the form of a patent, trademark, design or copyright. Visit the website of the Intellectual Property Office of Singapore or engage an IP lawyer or an IP professional to register a trademark, patent or design. Take note not to ignore any notice of opposition that you may receive after your application. Should you receive such notices, you will need to consult a lawyer immediately to counter the opposition or mediate. Lastly, pending registration, you may wish to include the ™ next to your mark or logo to assert your common-law right to the mark or logo and to warn potential infringers. Managing your I.P. portfolio well not only reduces risks of infringement actions against your business but also serves to preserve its value. You may want to capitalise on your I.P. assets by licensing your product or your brand to other businesses who may wish to leverage on the goodwill that your brand has created in the market. You have now incorporated your company; obtained the requisite regulatory approvals and registered your intellectual property. You are ready to call in your suppliers to get ready your products and services. It is crucial that you not simply sign on any agreement that your supplier says is “standard”. You should negotiate your terms (such as payment and delivery schedule) and their terms (such as quality of materials and services) carefully in order to avoid risks to your business; risks such as costs of delays . Also, you may want to cautiously allocate the liabilities between your company and the marketing-agent in a marketing agreement. There is a need to ensure that the agent is aware that you do not tolerate any form or plagiarism or I.P.-infringement on their part. They need to be aware that any such form of negligence may have undesired effects on the goodwill hence profits of your business. If your business suffers from a breach on their part, they need to realise that they could be liable. Lastly, you may wish to negotiate your payment terms carefully. Consider payment in steps, in tandem with work delivered, if necessary. The suggestions in the above paragraph may apply to other services contracts pertaining to as data-hosting, software development, maintenance and so on. Phones start ringing; email-inquiry pours in. You now need a contract to seal that deal with your client or customer. One of the most frustrating aspects that you may face as a service provider is when your client does not pay or unnecessarily delays payment. Impress upon your client that you will include a term so that both of you are aware that you will initiate a claim at the Small Claims Tribunal (SCT) if the payment is not received without reason by a specified time. The SCT is an efficient and low-cost route for a business to make claims for amounts less than S$10,000. You may easily file a claim online. If your business sells goods to consumers, do keep in mind its obligations under the Consumer Protection (Fair Trading) Act lest you find yourself in the unenviable situation of being hauled to the Small Claims Court or the Consumers Association by your own customer. Down the road, you may be considering expanding your business operations to increase your revenue and thus may be looking for funds to do so. If you are not ready to have investors as partners, you may want to find out if your business is eligible for grants. A first-stop which I often suggest to my clients would be the Business Grants Portal managed by the Ministry of Trade and Industry in Singapore. Other viable sites to check for loans, grants or assistance would be the initiative by the Smart Nation and Digital Government Office (SNDG) and the initiative by Spring Singapore. If you are considering to expand your business overseas, you should check out Enterprise Singapore, an agency that helps local businesses grow internationally. If your business is socially driven or started to render assistance to a specific group of underprivileged beneficiaries, you may want to consider approaching the Singapore Centre for Social Enterprise to join as a member. RaiSE offers start-up grants to selected members as well. If you are considering individual investors, be it individuals or entities; you should conduct some preliminary checks on them before you commence discussions on how your relationship with them is to be regulated. You need to be assured that they are free from legal claims and actions or any bankruptcy (as an individual) or any winding up (as a company) proceeding. Any lawyer should be able to conduct such searches. If you are familiar with the type of search to be conducted, you may visit sites of credit bureaus such as Singapore Commercial Credit Bureau to conduct yourself. In negotiating with investors who are putting in equity, there are a myriad issues with which you could be fazed. Firstly, ask yourself how the investor can help the business? Sometimes, it is financial support and at other times, the investors can lend value to a business with their network in the market or their expertise and know-how or even their established sales-channels. Find out which aspect of your business attracts the investor. If it is for returns, he will likely be more interested in talking with you on the exit-provisions in the shareholder agreement. Salient issues which figure prominently in such share-subscriptions or share-acquisitions could be the degree of control each party should have on managing the company; the method of valuation of shares during an exit; when an exit is triggered, when and how one cashes out, restraint of trade and non-compete terms and so on. Thus, it is essential to engage a lawyer to obtain proper legal advice for your situation; advice that aligns with your vision and your objectives for your business in the long run. Some businesses may have several founders who each came up with the idea, process or methodology for the product or service. Disagreements and separations are rife amongst start-ups and I have seen many break apart because the ground rules were not laid at the beginning or a common understanding was not fostered at the inception of the business. Founders separate and start on their own taking away from the business what they previously contributed. To a business, this spells death. Therefore, do get your founders sign an IP assignment in favour of the company; include terms to ensure they stay with the company for a reasonable amount of time i.e. till the product is launched or the business goes live. Nonetheless, you need to ensure they are well remunerated or rewarded to deter them from leaving the business as soon as they can. So how do you dangle the carrot? A commonplace method could be the share option scheme. Such schemes come in rather handy if the company has the potential to be bought over by a market-giant or go public. Once an employee sees the value of the company, he perceives the significance of retaining his options and exercising them at the right time. As you should be able to see by now, it is all coming into place; each step ties to the next. For instance, registering your IP and making your employees assign all IP rights to the company ensures that your business assets in the form of intellectual property are protected. This helps your business derive possible revenue from, say, licensing. Your business is also able to maintain its value and this attracts not only investors but also the potential acquisition of your company. You can then consider cashing out and will be thankful, at this point, that you have crafted attractive exit strategies for shareholders in your constitution or shareholder agreement. The above is merely intended to give you an idea of the tasks ahead of you and suggestions as to where you can seek assistance when you start your own business and the list may not be exhaustive. Not all businesses are cut from the same cloth. The issues your business faces may differ from those with which another is grappling. If you face challenges in your start-up phase; I’d recommend you consult a lawyer. Not being saddled with the start-up processes; you can then be free to focus on your marketing strategy, your profit-margins, your corporate-framework, your technical operations and your expansion plans. 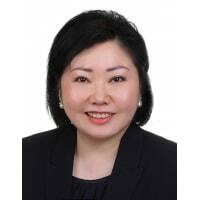 If you need advice for your business, you can get a Quick Consult with Elaine Phang or other lawyers. With Quick Consult, you can check out in minutes and for a transparent, flat fee of S$49, the lawyers will call you back on the phone within 1-2 days to answer your questions and give you legal advice.